Two weeks ago, I traveled to Europe for the very first time. And as promised – I’m blogging about my adventure/experiences. This trip is a work trip and traveled with my boss Dona Sarkar. WARNING: Lots of photos below! Prior to going to London, the longest (single) flight I have ever been on was about 7 hours. The non-stop flight from Seattle to London was about 9 hours. So this was the longest flight I’ve ever been on. I checked a bag at the airport and in doing so – they verified my passport and printed me a boarding pass with that verification. This saved me a step at the gate. (I’m told the verification would also show up on the digital boarding pass in the airline app too.) The flight left Seattle at 5:30 and arrive in London at 11:30ish local London time. I liked flying at night. It allowed me to decompress and then try and sleep a bit. I ended up finally watching a few episodes of the new Titans series from the new DC Universe service from DCComics and then took a nap. But flying like this also meant that Saturday and Sunday sort of merged together in what felt like a single day. 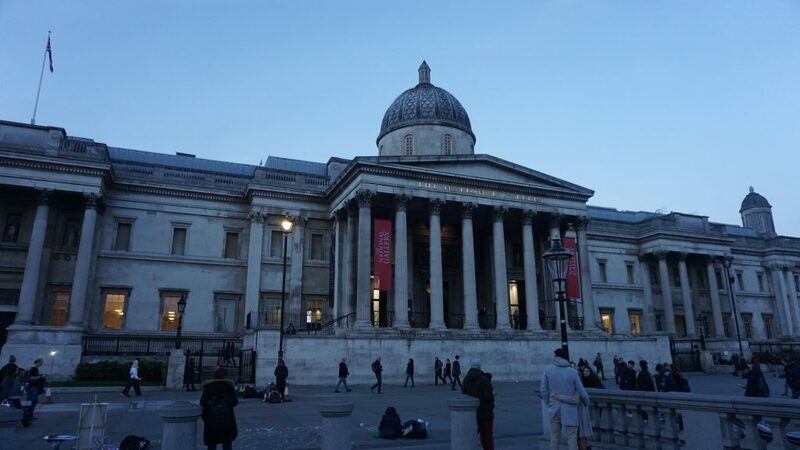 That was a new experience for me so I was very tired when I arrived in London. For my trip, I took my new SurfaceLaptop 2, iPhone XS Max (on T-Mobile with international data roaming), Apple Watch (4th generation), iPadMini, and my Sonya6000 digital camera. Why the iPad Mini? I use the iPad Mini as my reading device. Mainly – digital comic books. This last year, I switched to reading all my favorite comic books digitally via Comixology. The iPad Mini is perfect for this. In addition to that, I also use it to read books in Microsoft Edge thatI’ve purchased from the Microsoft Store and watch videos I downloaded for offline playback from Netflix and the DC Universe app. 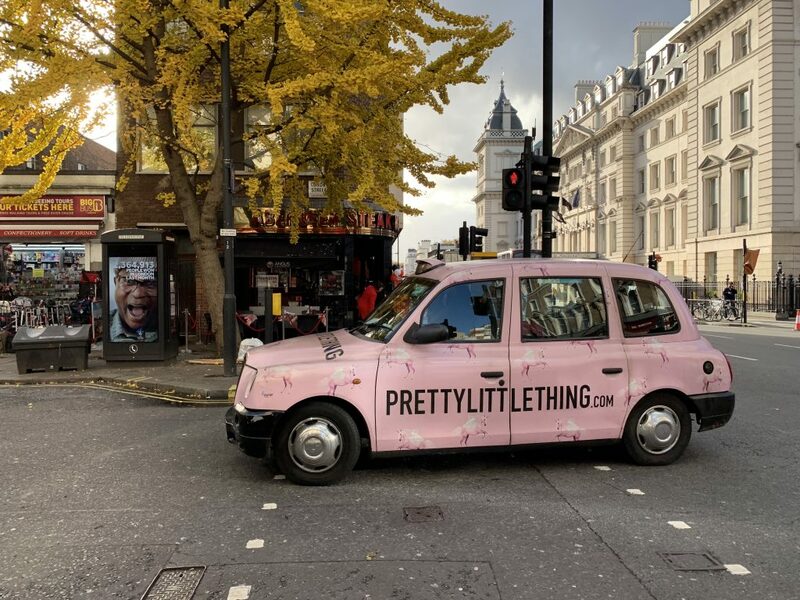 Arriving in London felt pretty normal at first. However, the process of going through customs was a new experience for me. You get off the plane like you normally do and then head toward baggage claim like you normally do (if you checked a bag) but in order to leave the gate area – you have to go through customs. 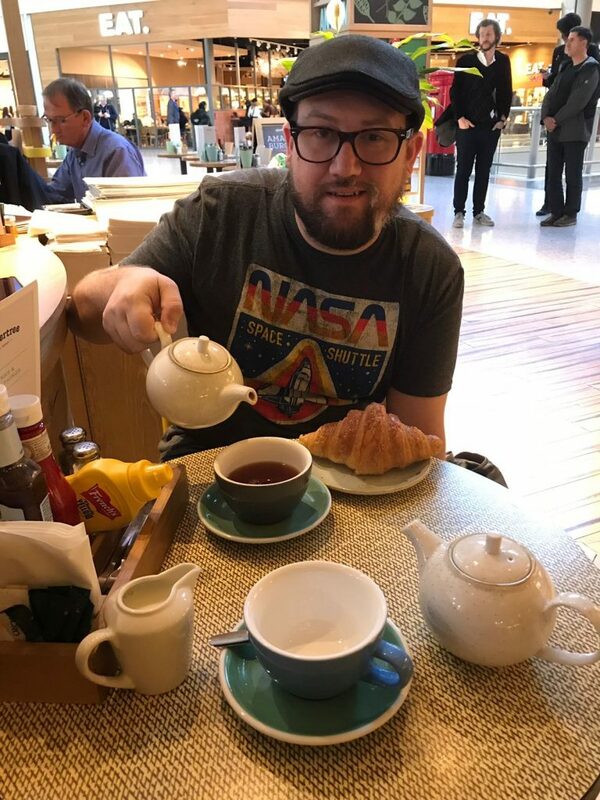 To go through customs, I had to fill out a little form for the UK and declare anything that needed to be declared and explain why I’m visiting the country. Everything checked out so I got my very first stamp in my passport! 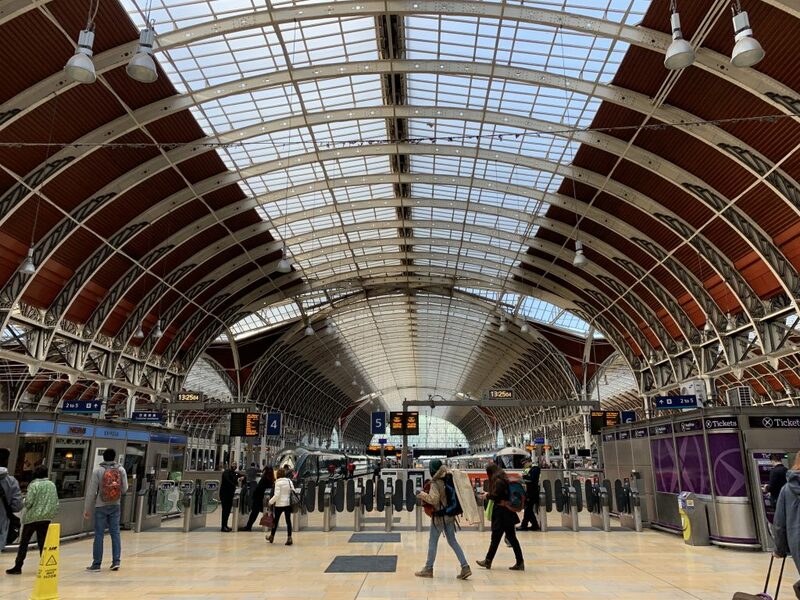 Another view of Paddington Station. As I passed one of the vendors, I noticed they had Dr. Pepper! (In case you didn’t already know – Dr. Pepper is my favorite drink.) I didn’t expect to see any so naturally, I bought one. What does European Dr. Pepper taste like? Well… it doesn’t take like U.S. Dr. Pepper. It seems in Europe, they use different artificial sweetener sand use aspartame. So it tastes very different than what I was used to in the U.S. and I wasn’t a fan. I stuck to coffee. Even though it’s a work trip, I wanted to make sure I was able to step away and do some sightseeing while I was here. I had 3 days in between work to see what I could see. Day 1: Day 1 in London was pretty much a half-day due to travel. We arrived in the early afternoon from Seattle and I had to wait for my hotel room to be ready so I went out and explored a little on my own. 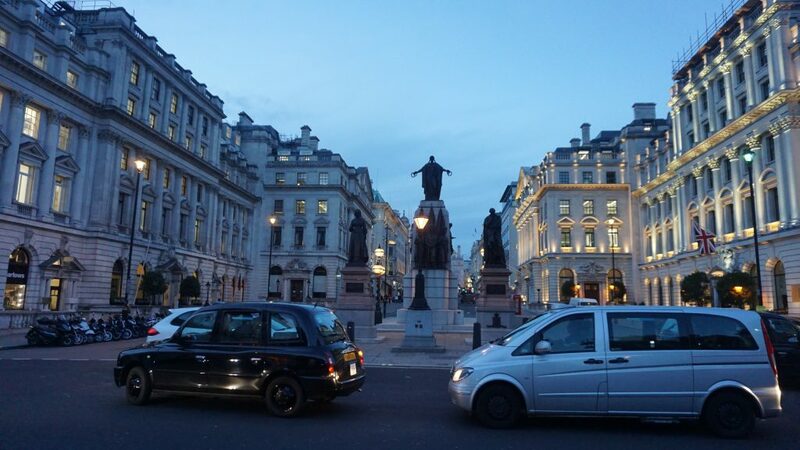 I had a lot of fun seeing the double-decker buses and English taxis in person. 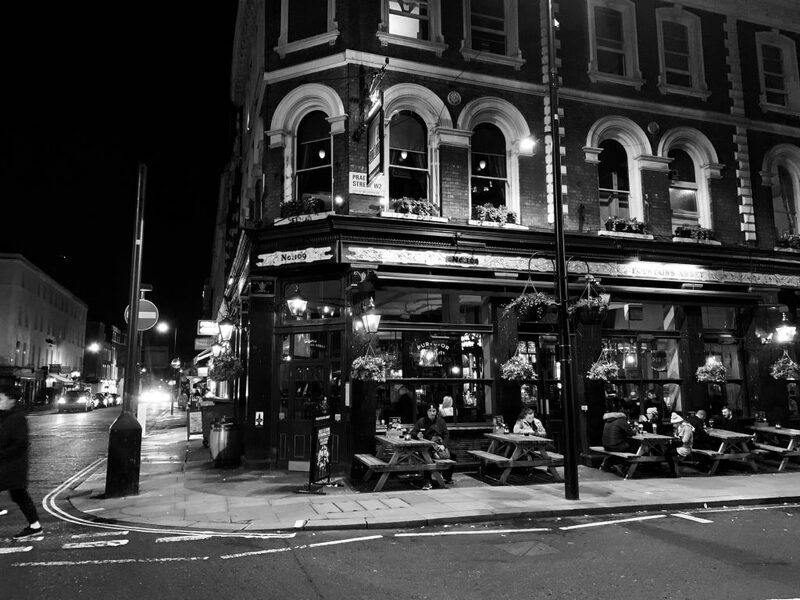 For the first night in London, I went to my very first British pub for dinner where I had a cheese toastie which is like a grilled cheese sandwich and a delicious cider! I also tried a little bit of a meat pie too. It was all very good. 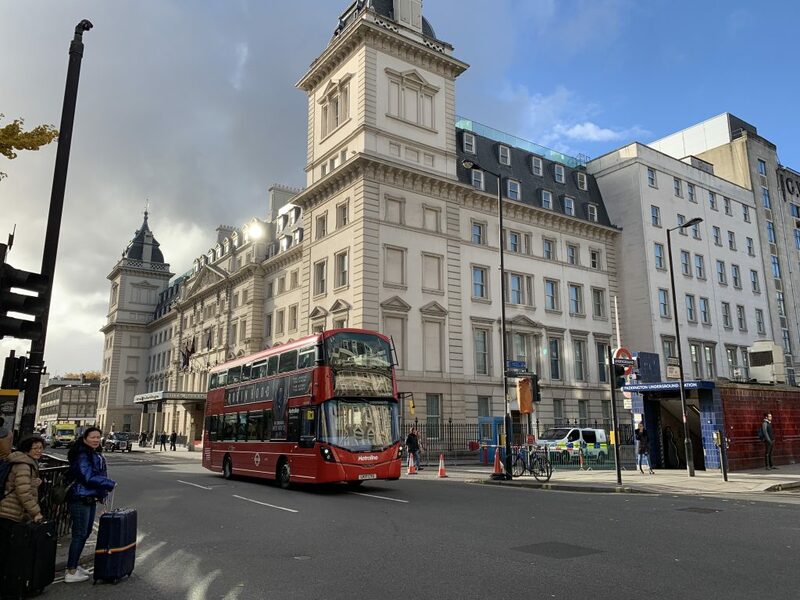 View of just outside Paddington Station with double-decker bus! My first English pub – Fountains Abbey Paddington. Day 2: This was basically a work day. 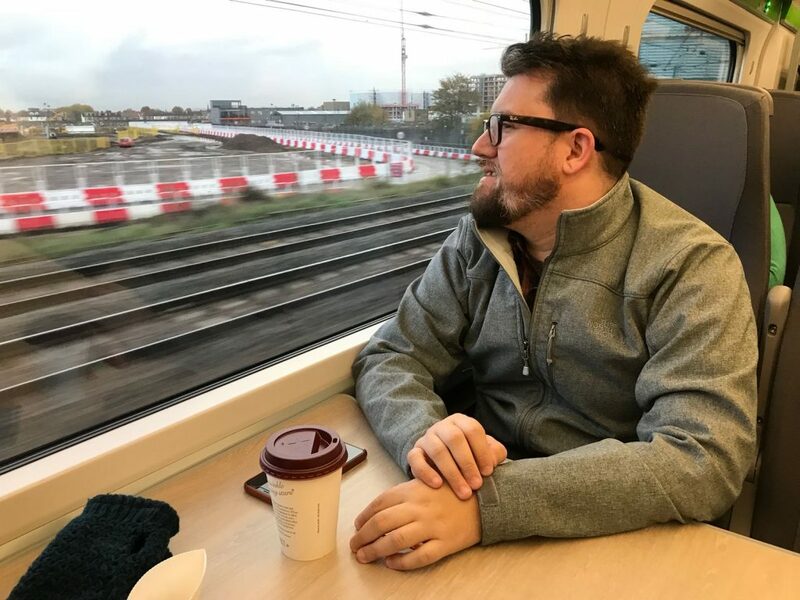 But I took my very first *real* train ride from Paddington to the Microsoft office in Reading. It was about a 40 minutes ride. 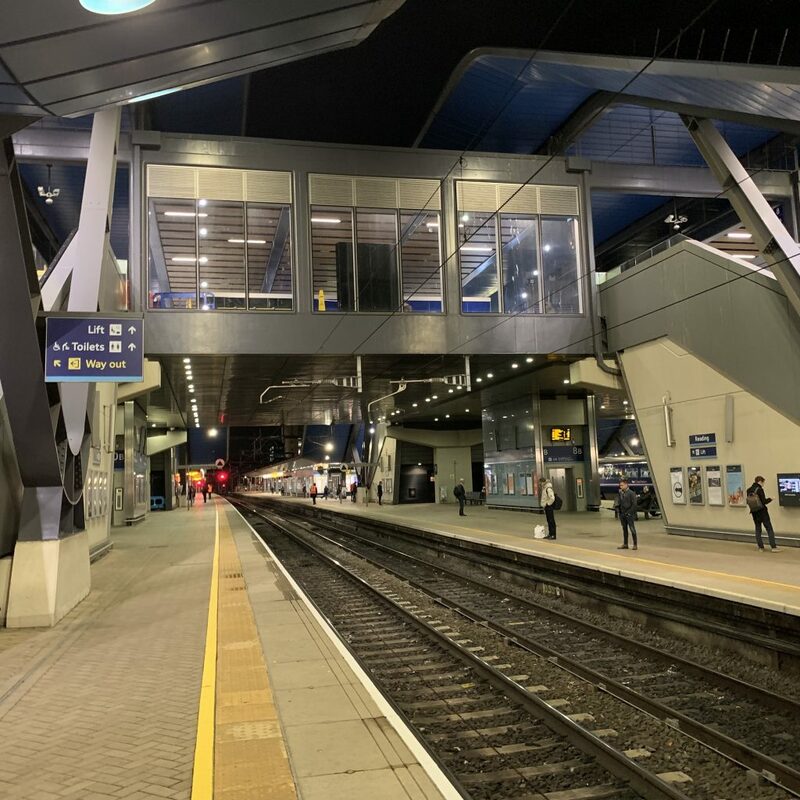 I remain so very impressed with the train stations and overall infrastructure in the UK. I’m sure for those who take these trains every day, it’s not always sunshine and rainbows. But I’ve been trying to get on a train in the U.S. for years and every time I do, the train is delayed significantly and they end up putting me on a bus (this has happened three times to me). Riding the train to Reading. Day 3: We had to work in the morning. We didn’t have to go back to the Microsoft office in Reading. 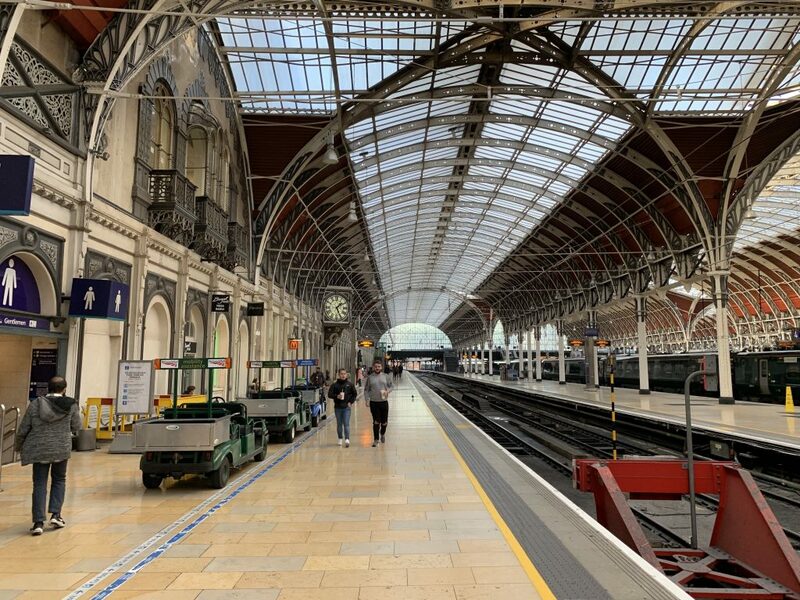 Instead, we headed around the corner from Paddington to a hotel. For lunch, I tried Lebanese food for the very first time – it was delicious. After lunch, I was fascinated by some of the river boats we passed by that were actually restuarants. 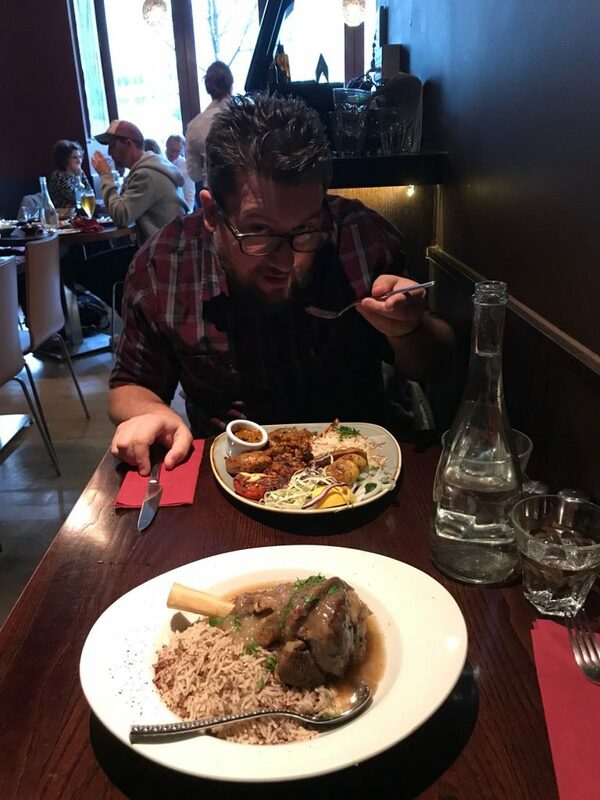 Having some delicious Lebanese food. 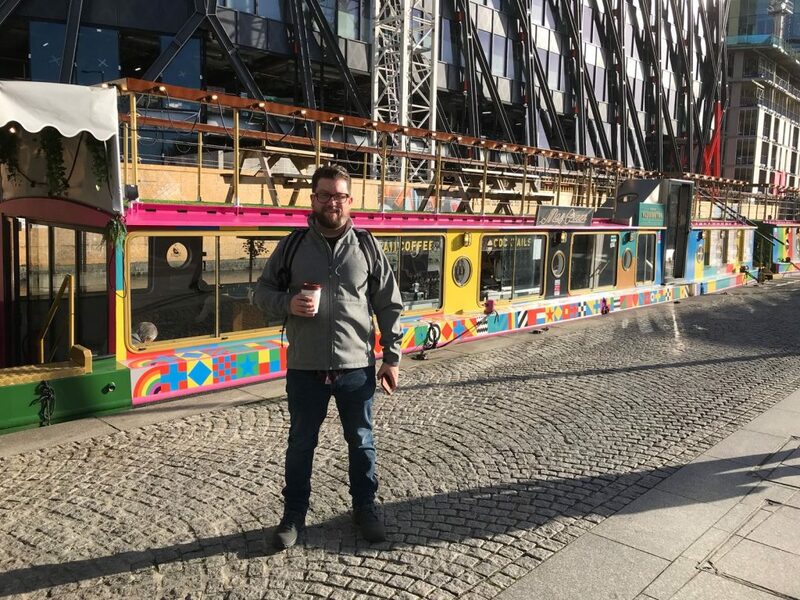 The river boats behind me are restaurants! 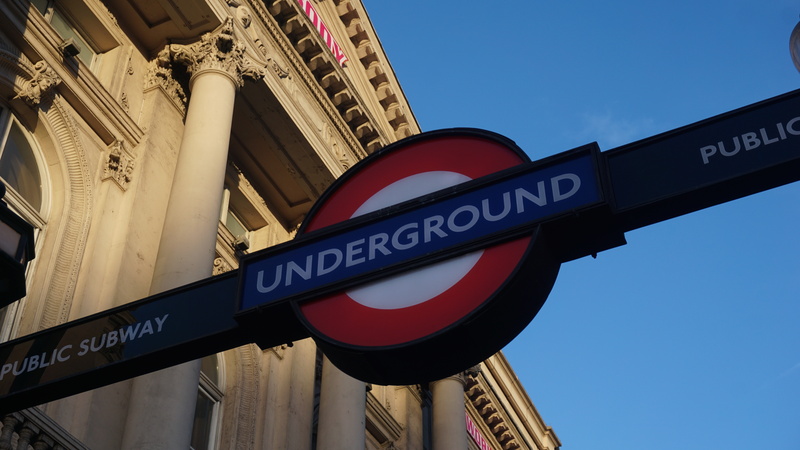 After lunch, we took the Tube (London’s underground transit system) to Piccadilly Circus in London’s West End. 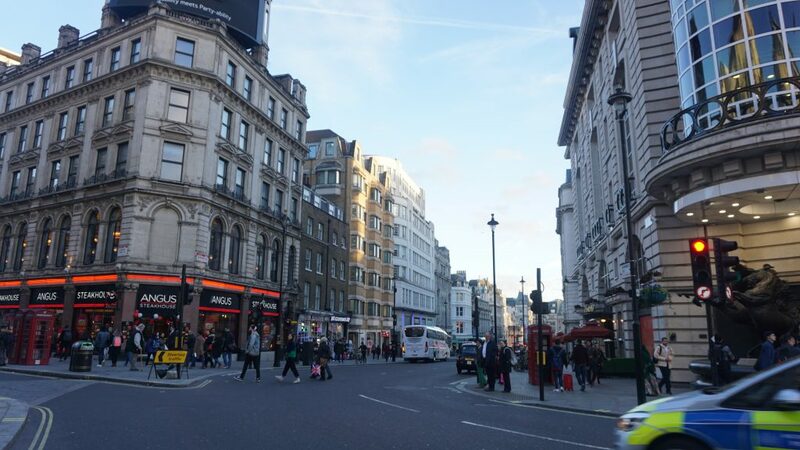 I found that Piccadilly Circus felt a lot likeTimes Square in New York City. 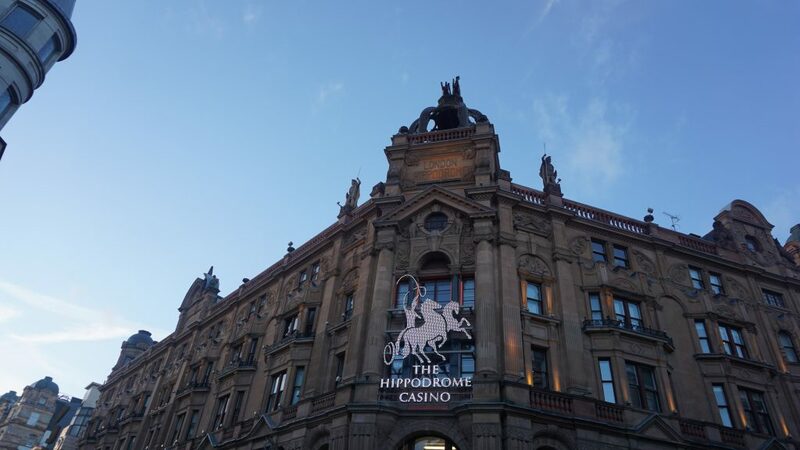 There were lots of stores, theaters and even casinos – and lots of people. 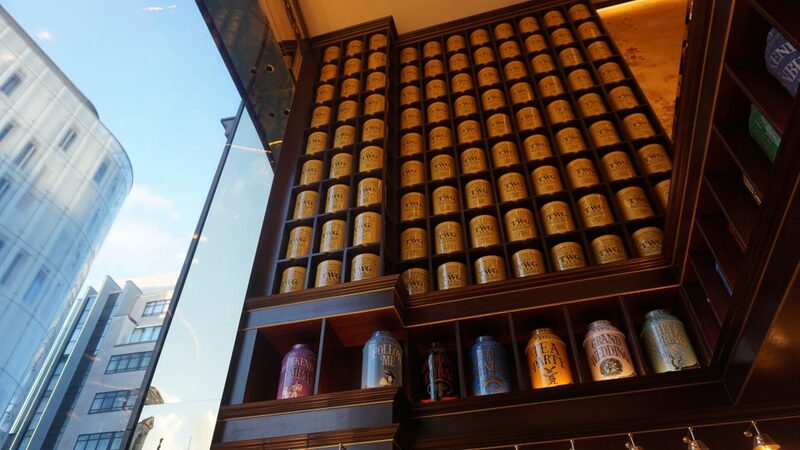 We stopped by TWGTea where I saw more tea in a single place than I ever have in my entire life. Lots of tea inside TWGTea! 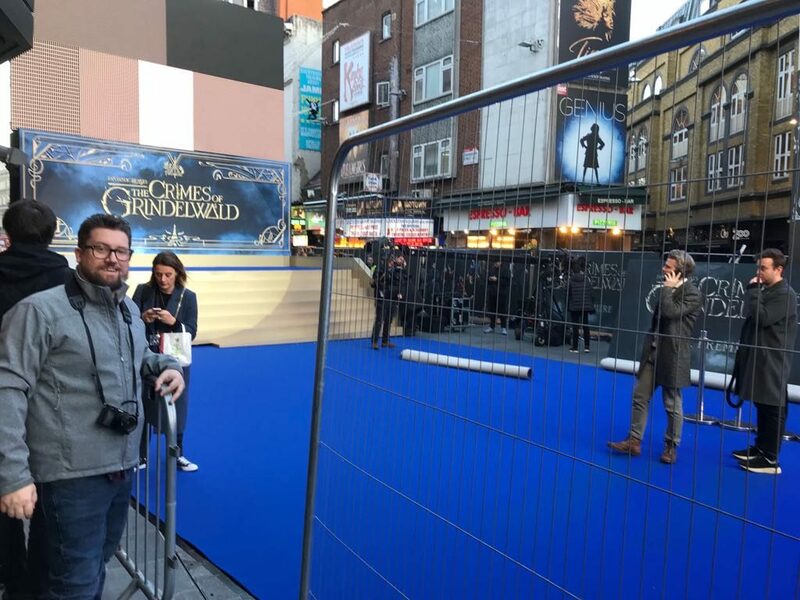 As we continued to explore the Piccadilly Circus area, little did we know that on this day was the U.K. premiere of the new Fantastic Beasts movie so a bunch of the area was blocked off for the film’s stars to arrive and walk the “blue carpet” (instead of “red carpet”). 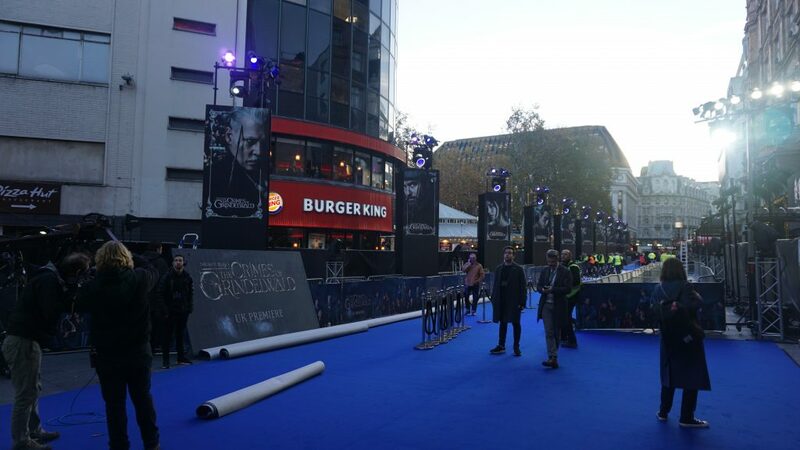 The blue carpet U.K. premiere of the new Fantastic Beasts movie. After getting in trouble for standing on the blue carpet. 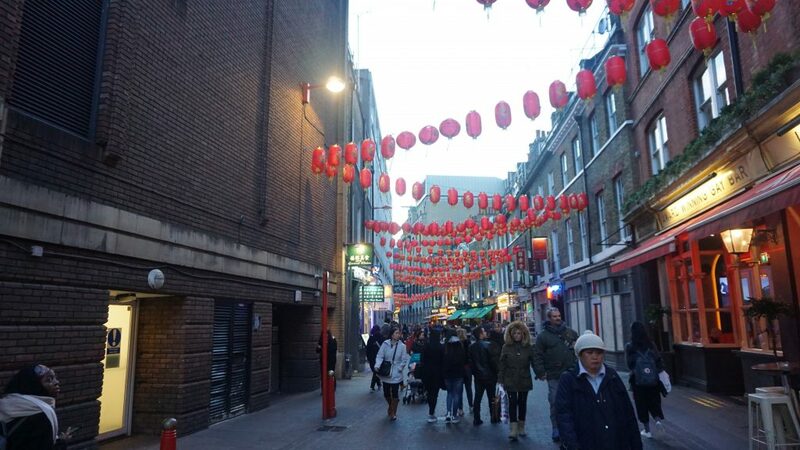 We circled back and walked through London’s Chinatown where they had amazing lanterns hanging across the road. 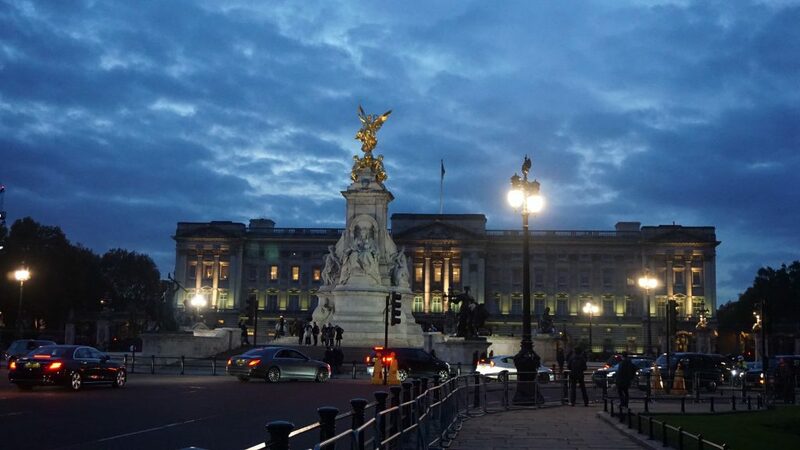 After Piccadilly Circus, I wanted to see Buckingham Palace so we decided to walk. Originally, I wanted to see Big Ben but the building is under tarps for renovation. 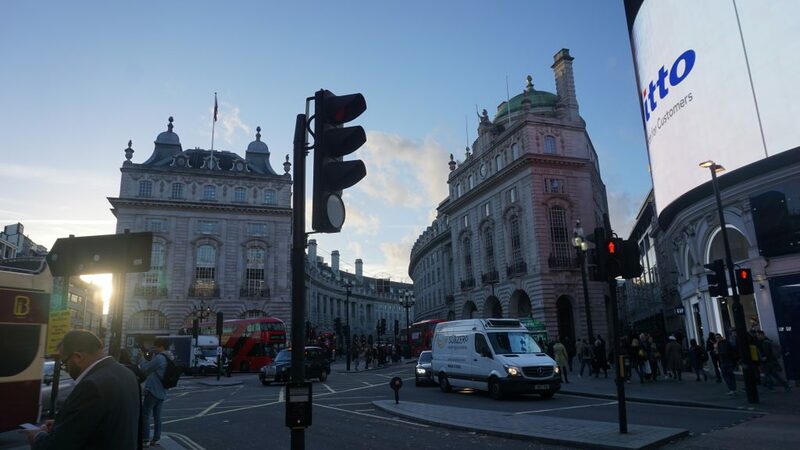 On our way to Buckingham Palace, we dropped by Trafalgar Square which was beautiful! 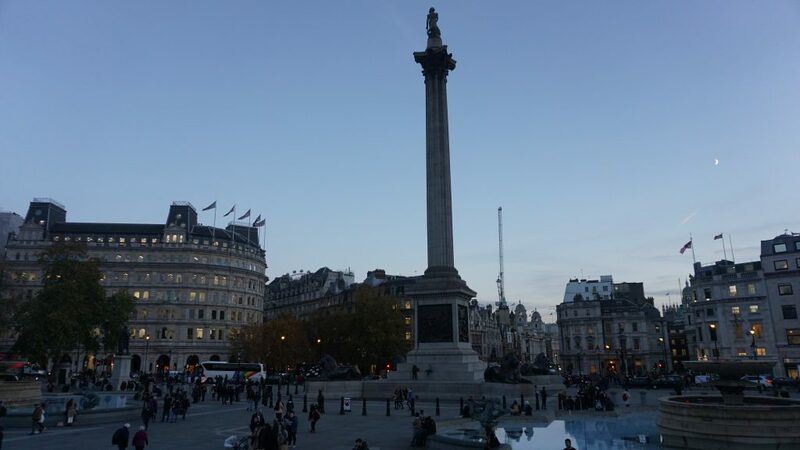 Trafalgar Square includes Nelson’s Column which stands in front of the National Gallery. 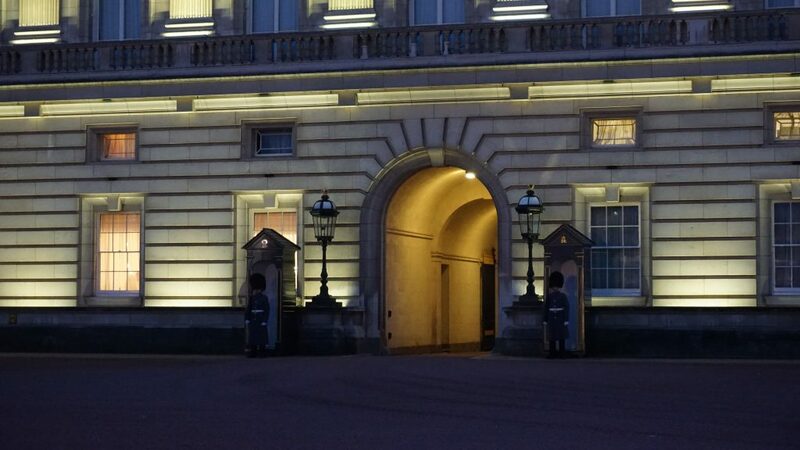 It was stunning to see Buckingham Palace in person. This is where the members of the British Royal Family such as the Queen live. The building started off as a townhouse built in 1703. Sotechnically, the building is older than pretty much all of the U.S. governmentbuildings in Washington D.C. including the White House. And finally, to end the evening of playing tourist – we visited Abbey Road Studios. 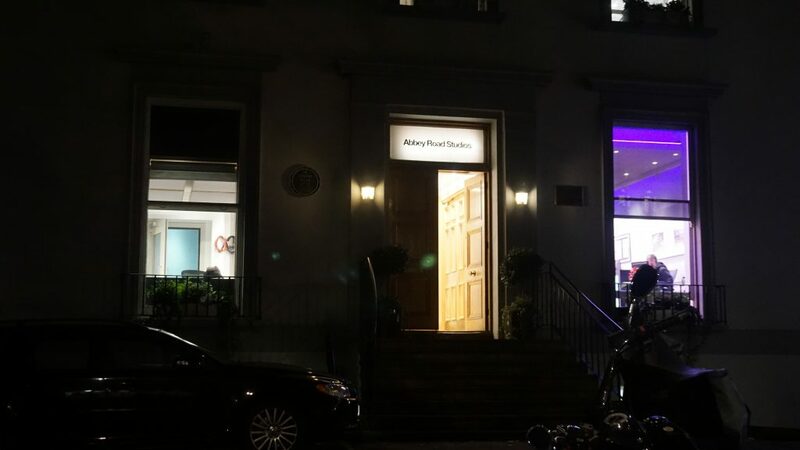 Abbey Road Studios is where many famous bands and musicians have recorded music. Including my favorite band The Beatles. It was so surreal to be at the location where so much amazing music was recorded by The Beatles. Because it’s a working studio still – you can’t go inside. But their giftshop was amazing! Abbey Road Studios. These are the stairs where The Beatles took photos on for several albums. 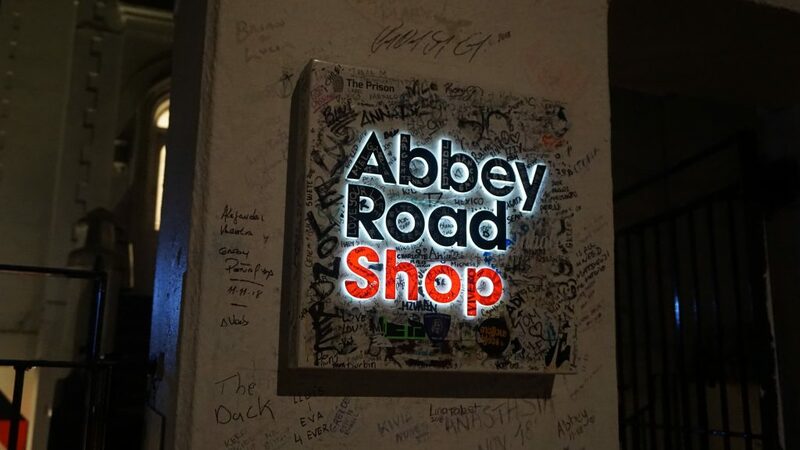 The Abbey Road Shop sign with all kinds of hand-written notes. 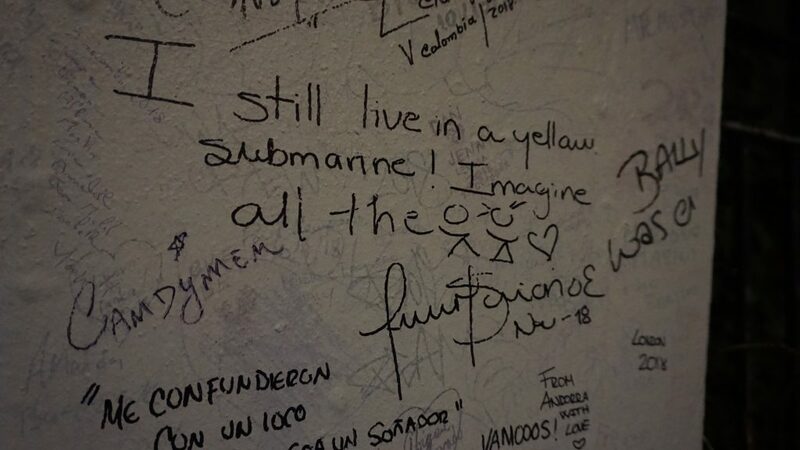 Close-up shot of some of the hand-written notes on the Abbey Road Shop sign. In part 2 of my Europe Trip, I head over to Munich, Germany! Stay tuned for that post soon.